Take your grilled cheese game to the next level by adding maple bacon! 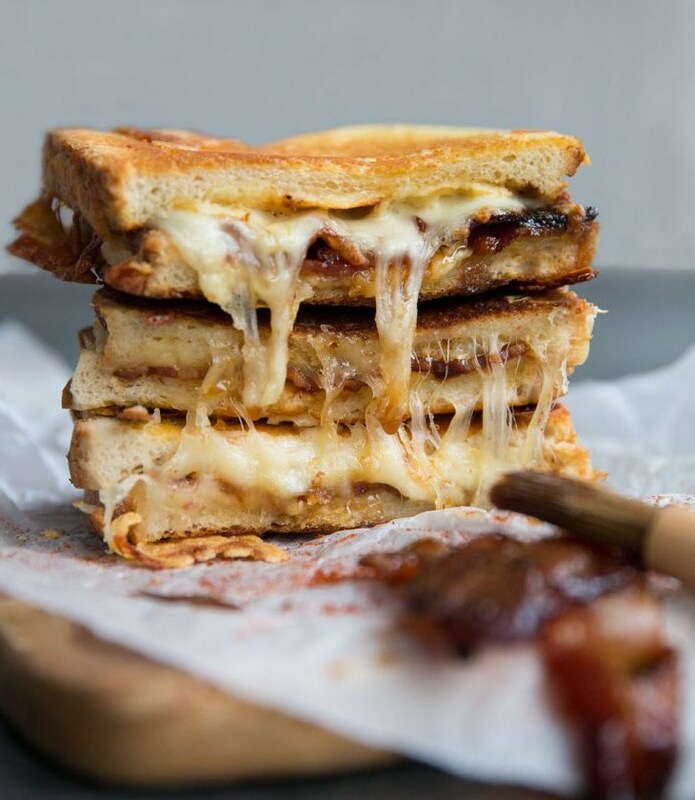 Sweet, sticky, smokey and extra cheesy, this truly is the ultimate grilled cheese! Preheat oven to 350f/175c. In small bowl combine your glaze ingredients. Brush both sides of your bacon using 3/4 of your mixture and lay on a baking tray. Bake for around 10-15mins or until the bacon begins to caramelize. Take out, flip and reglaze. Pop back in the oven for another 10 mins or until sticky and fully caramelized. Place two slices of bread in a pan with the heat OFF. Spread with butter then flip over so both are butter side down. Add your smokey cheese, then maple bacon, then cheddar and finish with another slice of bread. Squish down with your hands and spread with butter. Turn on heat to a medium and fry each side until golden. If you want to drizzle glaze over at the end then make a little extra and ensure it doesn't make contact with your bacon brush.